So, what exactly are the “best” irons for mid handicappers? My opinion… it’s mostly subjective these days thanks to the quality of clubs that are being put out by ALL manufacturers. 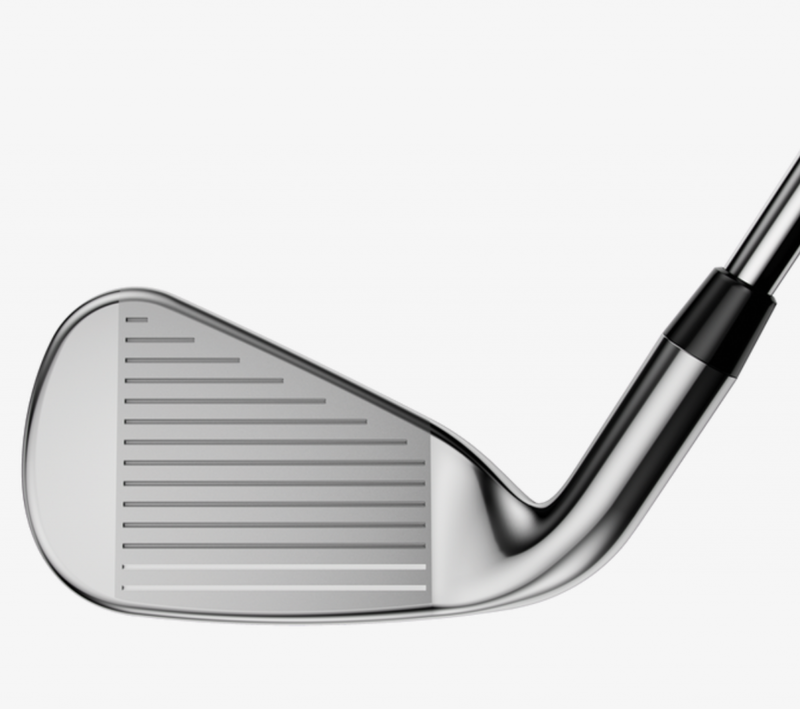 Alright… you’re a mid handicap golfer and ready to graduate from game improvement irons or even super-game improvement irons…You might even be thinking about “player” irons. Heck, maybe you are want to stick around the game-improvement category but just want a different look. I feel you… I’m there myself. My heart wants me to go, straight-up player. Sometimes my head even agrees. It’s a work in progress. There’s a lot that goes into this choosing new clubs, even before you ever take a swing. Do we like the looks? Is the clubhead too big, too small, too thick, too thin, too short, too long? Do we like the finish? Am I confident when I look at it behind the ball? That’s a lot to chew on…and we still haven’t taken a swing. So, where do we go? Testing, my friends. All major manufacturers that produce irons for the mid handicap and lower categories price their sets anywhere from $800 to $1400 or so. Ben Hogan (not a major manufacturer, but a known brand) being the lone stand out with a max price of just over $700 for full sets. Mizuno, Cobra, Callaway, Ping, Taylormade and Ben Hogan, are but a few of the many fantastic brands to consider. When looking to purchase a new set, it’s going to come down to personal choice and idiosyncrasies in your own swing and game. I believe variation in quality and performance is a much smaller factor than ever. Once upon a time, all irons were forged from a single chunk of steel, then Ping came along and introduced casting, the cavity back, and perimeter weighting, making better scores accessible to a whole new group of players. The forging process is being used more these days in mid handicap friendly irons to improving shot making ability. Callaway, Taylormade, Mizuno, and Ben Hogan, are just a few examples. They’ve managed to introduce more playability without sacrificing forgiveness. My opinion is; golfers in this category should stick to cavity back irons, forged or not. So, we’ve got two choices when it comes to shaft material and many when it comes to stiffness. I’m not going to give a full treatment on all the variables that “can” go into picking a shaft. If you really want to dig into this stuff, I suggest a fitting, otherwise, I’ll give you some general guidelines that I always want you to supplement with testing for yourself before you pull the trigger and buy your set. Shafts are made of either steel or graphite. For a time in the 2000s, there were shafts that were roughly half graphite and half steel. I haven’t heard a thing about those in years, though I see they still do exist. When it comes to shaft flex, there is no industry standard and manufacturers can label their shafts whatever flex they want, so anything I put below is from my observations, fittings, and what I’ve read on the subject. Regular Flex: the bulk of beginners and high handicappers will do fine with this flex. Even lower handicap seniors will likely find these work fine. Extra Stiff: start getting past 105 mph driver swing and you can start considering these. **Disclaimer- There are varying opinions between fitters and manufacturers on who should swing what flex. TEST FOR YOURSELF. In general, graphite shafts are a bit more flexible, lighter, less durable, and allow you to hit the ball farther. In general, steel shafts are a bit stiffer, heavier, more durable, and offer more stability and consistency. Graphite shafts are usually a little more expensive, but when ordering brand new sets directly from manufacturers, you will often pay the same for steel or graphite. I’ve played both and played well with both. I’m currently using extra stiff steel shafts and have for the last 13 years. I was fitted for these shafts and they’ve performed beautifully for me. Should I Get My Set Custom Fit? I’ve got a simple philosophy on custom fitting that I’ve expressed in other reviews on this site. I’ve had lessons and been fitted. I can tell you my misses miss less since my fitting and I can set up to the ball more comfortably instead of having to manipulate things to try and hit a shot. 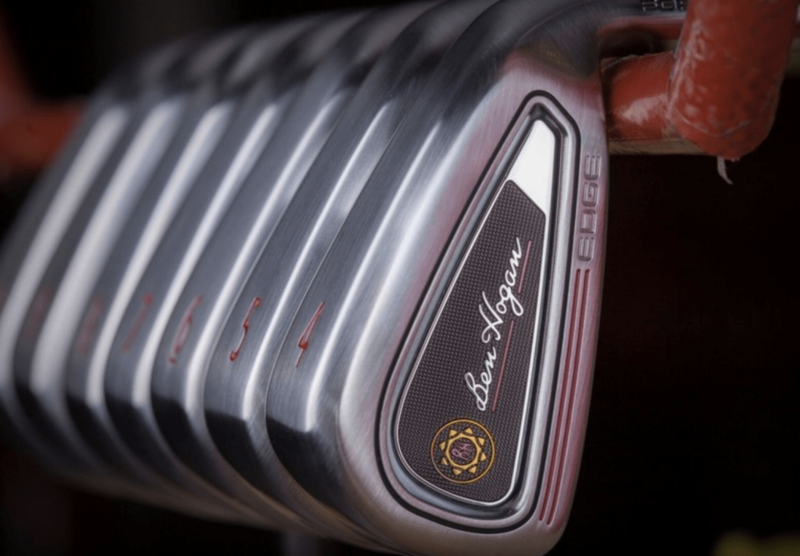 Ben Hogan Golf put out the Edge irons over 30 years ago and updated them for 2018. Bottom line, they go toe-to-toe with clubs costing twice as much. If you like good looking clubs with elite distance and forgiveness, give these a tumble. These babies offer the perfect balance between look and performance and perform as well as any irons I’ve played or tested. All the technology that goes into Hogan blades is there in the Edge irons with added forgiveness for the mid to low handicapper. The latest Ben Hogan Edge Irons offer more offset than in previous models, giving you more time to square up before you hit the ball as well as loftier shot trajectories which improve your shot accuracy. You can read my full review here. Too impatient to read my full review? Well, click the big red button to the right and give Ben Hogan this code (SAS10P). BOOM!…10% OFF. None, really. Perform and look great! Another fantastic iron set option from Ben Hogan, the PTx Irons were designed with the feedback of thousands of amateur and professional golfers. Built for golfers looking for more forgiveness for off swings and higher trajectory shots, PTx irons have the signature look golfers have come to love, and they don’t disappoint. These are a touch heavier and less forgiving than the Edge irons and probably push a little more towards the lower handicapper, in my opinion. But…I think a mid-handicap good ball striker can learn to use these very well. Leveraging the patented co-forging process, this iron set is designed and built to perform. These are a little more of “you get out what you put in” type of irons. Not blades, but not game improvement irons. The PTx irons come in two loft package options- down from four from when they were introduced in 2015 thanks to customer feedback. Too impatient to read my full review? Well, click the big red button to the right and give Ben Hogan this code (SAS10P). BOOM!…10% OFF. If you’re looking for an iron to take your game to the next level, you can’t go wrong with this best-selling Mizuno iron in your bag. With a mid-sized forged head, it is designed to give you the optimal balance of forgiveness and provide your swing the power it needs to make those once-in-a-lifetime shots. Built with Boron Steel and combined with additional metals, the iron is nearly 30 percent stronger than regular steel, giving you extra power where it matters most. Its Grain Flow Forged HD technology gives you the feedback you need during every swing so you can correct as you play and chart the perfect plan of attack. The Mizuno JPX 19 Forged Iron is also built with a stability frame which has an open heel position for improved stability during ball impact. The iron is chrome-plated with a durable finish, making it perfect to use during those extra sunny golf days. As Golf Digest’s 2018 Hot List Gold Medal Winner, the Callaway Rogue X is a phenomenal cavity back iron for those looking to improve their accuracy and playable shots and is a terrific value. Built with a 360 Face Cup and VFT, the Rogue X iron head offers a generous amount of club head to hit your shot perfectly. The flexible rim head is released on impact to improve both distance and accuracy and is one of the more forgiving irons you’ll find on the market today. By leveraging tungsten weighting, the Rogue X offers incredible precision and control, so your shot lands precisely where you intend. The tungsten is nearly double the weight of steel, giving additional power without sacrificing the accuracy you need to play your best round. Compared to the Rogue Standard, the Rouge X is both lighter and longer in length, making it the perfect compact combo iron to add to your bag. None really. They do what they are supposed to do and look good while doing it. Well known in golf circles for providing the everyday golfer with an excellent game improvement iron, Ping has improved upon its previous offerings with the Ping G 410. The Ping G 410 is built with the Custom Tuning Port removed, which gives the club significantly more flex. Made with both aluminum and the elastomer Santoprene, the club reduces those unnecessary vibrations from your perfect golf swing, making it a comfortable iron to play with all day long. The Ping G 410 comes with a variable Cor-Eye face which provides variable thickness to improve the accuracy and power of your shots. It also comes with tungsten weights in the hosel to provide better stability when your club strikes the ball. Because of the technical improvements over previous models, the Ping G 410 remains one of the better looking and feeling clubs on the market today. If you need a high-quality cavity back iron, you would be wise to give the Ping G 410 a try. Improving your game and becoming a better player once you’re at mid handicap level can be difficult, which is why choosing the right iron set is so important. Going from an intermediate to a top-level golfer is hard, and unlike when you first begin golfing, every little improvement at this stage will help you get to the next level of your golf game. While the “lucky” irons you’ve used for decades have done well for you up until now, investing in the right iron set can make the difference between a great day on the golf course with a low score and an outing you never want to forget. What it comes down to, is I can’t say for you what the best irons for mid handicappers are. The point is finding something you like and can play well with. Experience and testing always get the final say. Grab your Titleist and hit the course!